Preheat the oven at 300°F. Optional: Line a cookie sheet with parchment paper. Wash and dry kale. Remove the leaves from the thick stems and tear into bite-size pieces. 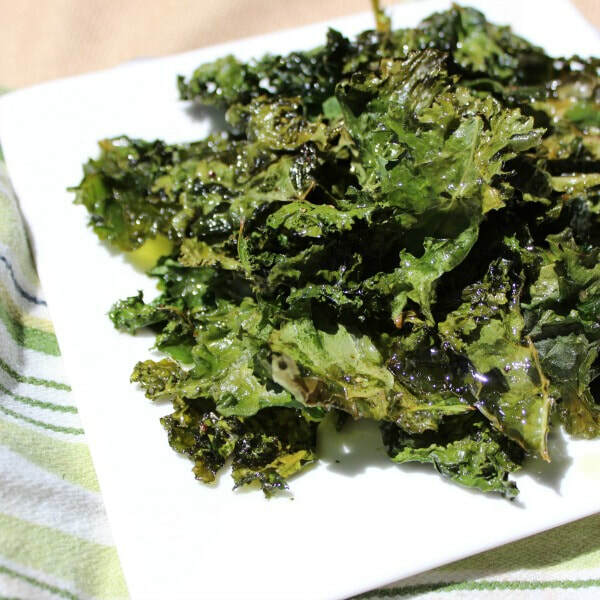 In a large bowl, massage kale with olive oil. Spread kale on cookie sheet and sprinkle with seasonings of choice. Bake 10 minutes then rotate pan and bake for another 10 minutes or until kale is crispy and edges are brown but not burned. Source: Del Norte DHHS. University of Kentucky EFNEP.